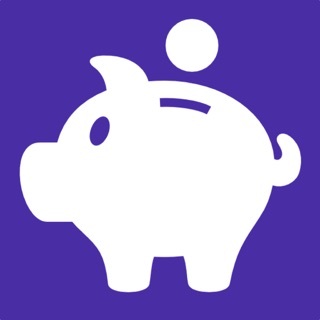 Honeyfi is a personal finance app that makes it easy to manage money as a couple. Together you can track your spending, budget, and bills. You can also plan and save for your financial goals as a couple. Honeyfi is the first money management and savings app to help couples with everyday and long-term finances. You can see all of your bank accounts, credit cards, bills, and investments in one place, while controlling what you share with your partner. You can also save for your joint and individual financial goals. We were recently featured as one of Apple's Apps We Love! We were also named one of Time’s top apps to help you save and Entrepreneur's top money saving apps. With Honeyfi, it’s easy to work together with your partner on money. Just link your accounts to the app, choose what to share with your partner, and see your finances – organized and categorized – in one place. Then start saving for your biggest financial goals together with our automated savings feature. * Save for anything from a vacation to a wedding to a home. Just tell us what you’re saving for, choose a savings rule, and we’ll do the rest. Both of you can contribute and track your progress. *Automate your savings so you can save more, faster. All funds held within Honeyfi Goals are FDIC-insured up to a balance of $250,000. Withdraw your money at any time, quickly, and with no fees. * Automatically sync your individual and household accounts to the app – bank accounts, credit cards, loans, investments. Honeyfi supports over 10,000 U.S. financial institutions. * Based on your previous spending, Honeyfi automatically suggests a household budget. Easily edit your budget and track your spending against it. * Create custom budget categories to track your spending the way you want. * Split transactions to assign multiple categories. * View searchable, categorized transactions across all of your accounts. Add comments and reactions to specific transactions to stay in sync with your partner. * Optimized for the iPhone X! * Protect your account using Touch ID. * Honeyfi uses bank-level security to ensure that your sensitive personal finance information is secure and encrypted. * We never store your banking credentials, and we work hard to keep our servers secure. * All funds held within Honeyfi Goals are FDIC-insured up to a balance of $250,000. -Introducing Honeyfi Goals! Now you and your partner can use Honeyfi to automatically save for that upcoming vacation or fairytale wedding. And rest assured, the money you save is FDIC-insured up to $250,000. -You spoke and we listened! Big improvements to the budget. More intuitive, simpler to use, and easier on the eyes. This app has addressed a BIG issue with my wife and me. We got so mad at Mint and deleted it because we couldn’t sync the data transactions between the two of us and not knowing what each other did even though we were accessing the same account. Finally Honeyfi has tapped into this and for the first time EVER we both are looking in real time at the same thing - even accounts that we individually had but are now made transparent (by choice) and I don’t have to answer a million questions and neither does she. Brilliant! And the customer service is extremely responsive as we are working through login issues with BMW Financial. But 1 issue out of 12 accounts is pretty good I’d say. ;-) if they continue to fine tune the experience, this app will continue to be epic! for couples! Terrific, simple budgeting and finance tracking app for couples! You can even comment on specific transactions right within the app. I didn’t think I would need that feature initially, but it has been a tremendous time-saver in trying to communicate about finances. Rather than trying to explain which transaction, when, etc. through a text, you have it right there in front of you. The budgeting is intuitive and customizable. The default categories are quite adequate, but you can change details to suit your own budgeting needs. I have really appreciated this app, and it has taken the place of several other budgeting tools that ended up requiring more hassle. Love this app and its potential! I have tried so many apps that I was close to giving up! My husband hated them all and never used them so it was mostly pointless. When I found Honeyfi, I immediately loved the fact that we can have separate profiles and account access, but still have openness about our money. And, while I don’t think my husband has used the much app himself, he has been willing to participate in reviewing our transactions and discussing issues, upcoming expenses, etc. My favorite feature is the ability to assign transactions to you, the household, or your partner. The app tracks the amount of spending by each entity. I submitted some feedback and suggestions about the app to the support team and found Sam, “co-owner”, to be extremely helpful, even sharing multiple emails back and forth to make sure he understood my concerns about the way the app was working. Sam gave me the feeling that he was genuinely interested in my opinions. So, I plan to stick with this app for a while. It’s not perfect and could use much improvement, but I have the feeling the creators will continue to hear the feedback and needs of their users, and improve things over time.